Automate your builds and deployments with Pipelines so you spend less time with the nuts and bolts and more time being creative. Build, test, and deploy Node.js, Python, Java, PHP, Ruby, C/C++, .NET, Android, and iOS apps. Run in parallel on Linux, macOS, and Windows. Easily build and push images to container registries like Docker Hub and Azure Container Registry. Deploy containers to individual hosts or Kubernetes. Explore and implement a wide range of community-built build, test, and deployment tasks, along with hundreds of extensions from Slack to SonarCloud. Implement continuous delivery (CD) of your software to any cloud, including Azure, AWS, and GCP. Visualize deployment to any number of interdependent stages. Ensure fast continuous integration/continuous delivery (CI/CD) pipelines for every open source project. Get 10 free parallel jobs with unlimited build minutes for all open source projects. Take advantage of easy build chaining and multi-phased builds. Support for YAML, test integration, release gates, reporting—and more. Get lightning fast builds with parallel jobs and test execution. Use container jobs to create consistent and reliable builds with the exact tools you need. Create new containers with ease and push them to any registry. Simplify managing hardware and VMs by using Microsoft cloud-hosted agents. Get full CI/CD pipeline support for every major platform and tool. Deploy to Kubernetes, VMs, Azure Functions, Azure Web Apps, or any cloud. Use stages, gates, and approvals to create a deployment strategy that’s right for you and ensures quality at every step. Even deploy from other CI systems, like Jenkins. Build, test, and deploy everything you create on GitHub. Get fast, reliable builds on all platforms through deep integration with GitHub pull requests, checks, and statuses. There’s more to Azure DevOps than just Pipelines. Learn how the full set of integrated, end-to-end tools can empower your team to ship software faster. We were previously using three different CI services to build Atom releases for Windows, macOS, and Linux. 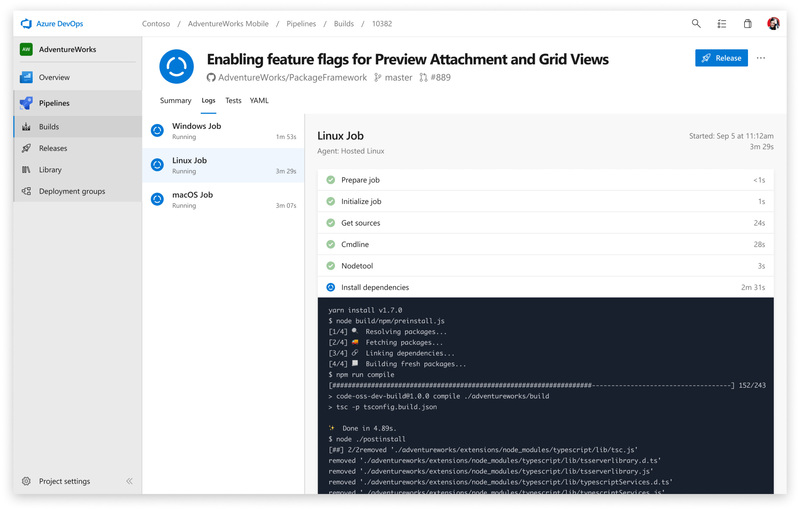 Moving to Azure DevOps enabled us to produce release builds for those platforms and automate our nightly release process, all in a single CI job. 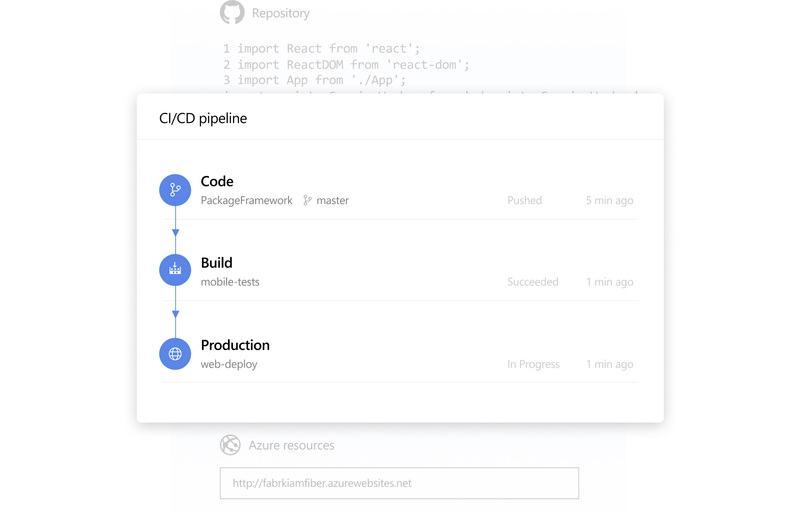 Easily set up pipelines to build, test, and deploy your code to any platform.